Morgan Stanley is thumbing its nose at the UBS approach. The Swiss group decided last week to close large swaths of its fixed income business, putting Wall Street rivals on the spot. Morgan Stanley also has struggled to earn a decent crust buying and selling bonds, commodities and the like. But Chief Executive James Gorman is tapping FICC boss Colm Kelleher to run the entire investment bank, suggesting he thinks he can make a serious go of the business. Kelleher’s co-president Paul Taubman, a 30-year Morgan Stanley veteran who runs capital markets and the advisory arm, is set to leave. Given the decision by UBS boss Sergio Ermotti, Gorman’s choice looks odd. 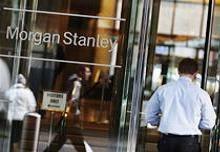 Like UBS, Morgan Stanley is best known for its advisory and equity underwriting business. Granted, the U.S. bank has more cachet in fixed income. After all, it’s where former boss John Mack cut his teeth. Returns, nevertheless, are low. And Morgan Stanley has only about 7 percent of the market, at best half the share of the biggest player, JPMorgan. Gorman’s firm still needs to run roughly the same scale of infrastructure, meaning its cost-to-revenue ratio is higher than much larger rivals. Nor is it easy to pick up a bigger slice of the business to bridge the gap: trading desks at Citi, JPMorgan and Bank of America all benefit from captive internal customers such as cash-management cousins and lending clients. Kelleher can’t replicate that. He’ll soon get some leeway, however, from the $120 billion of deposits Morgan Stanley will have once it owns the remaining 35 percent of its brokerage joint venture with Citi, That, at the least, could provide cheaper funding for its derivatives book, assuming the Federal Reserve approves. For all the bravado, though, Morgan Stanley is actually shrinking the balance-sheet impact of fixed-income trading. It’s already planning to cut the unit’s risk-weighted assets by 20 percent by the end of 2014 to $255 billion – on top of a 17 percent drop in the past 12 months. The latest cull would free up some $6 billion of capital, which should boost returns so long as revenue doesn’t drop commensurately. That’s the essence of the choice being made by Gorman and Kelleher. The clock is already ticking on whether they’ll succeed. Morgan Stanley announced on Nov. 5 that Colm Kelleher is to become sole president of the institutional securities business. His current co-president, M&A banker Paul Taubman, will retire at the end of the year after 30 years with the firm. Kelleher was responsible for all sales and trading businesses, while Taubman ran advisory and underwriting. The bank also announced that Mark Eichorn and Franck Petitgas are to be global co-heads of investment banking, with day-to-day responsibility for client coverage, M&A and capital markets. Phrasing in the first paragraph of this item has been corrected to make clear UBS is keeping some of its fixed-income business.